Need a bigger plan? Drop us a line. Scrum, Kanban, and Mixed methodologies. 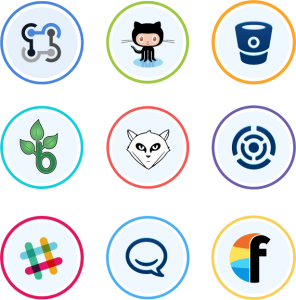 Easily import projects from JIRA, Trello, Asana, and more. Each plan is billed on a monthly basis or an annual basis (annual plans are discounted at 20%). User licenses are based on the pricing tier that you purchase. When you remove or add users to your account, your pricing tier will automatically update. You can cancel your acount anytime through the Jixee application. Go to settings->billing and click the cancel link. Do I need to enter my credit card for the 7 day trial? Absolutely not. When your 7 day trial expires you will be prompted to enter your billing information. Until then Jixee is free to use (up to 10 users). Can I download and host Jixee on my own servers? Jixee is a cloud-based software platform. If you are worried about security, we offer companies the option to have their Jixee account hosted on a private cloud server for an additional fee.